The Most Important Pricing Question? It is definitely not “For How Much?”! Or what “a pony” can teach us about pricing …. Alongside my practice, I am fortunate to have an opportunity to get into the backstage of great many companies and managerial teams. Sectors, particular market situations, or stages the companies are in can be rather diverse. But there is one and always almost identical phenomenon which I get to see all too often. However, the business reality, which mostly follows, is usually not rosy. The sad majority of cases reveal that a company cannot count on the planned price and revenues and, at best, it has to put up with a lower profit and a longer payback period. Consequently, the company comes under financial pressure and beside that, it starts to save unreasonably during the next rounds of innovation and support due to which it is the company itself that suffers through the disappointed customer. Can´t it be done another way? In 1965 and 1966 the Ford Motor Company accomplished something that no other car producer had before. In one year it sold more than half a million pieces of a single model on American market. It was the today already legendary model of the Ford Mustang and this record was achieved in the second and the third years after the beginning of its sale. Almost three years after it had been introduced on the market, its direct competitor – the Chevrolet Camaro - appeared. Since then fans have nicknamed the business war between the two rivals “the Pony Wars”. It is interesting that although the Camaro was a more elaborate, more powerful, faster and more modern vehicle it had taken more than 10 years before it dethroned “the king of sales”, the Mustang, at least for a while and by a tiny bit. 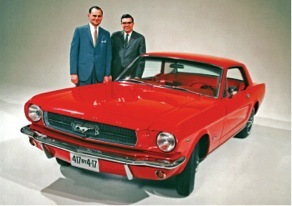 Why was the Mustang commercially so successful? 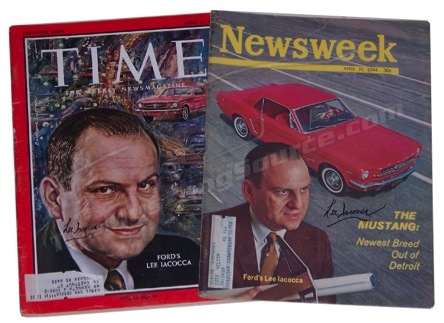 Short after World War II, Ford hired Lee Iacocca, a fresh university graduate. He had “a nose for marketing” and was an excellent salesman which both had secured him the position of vice-president and CEO of the Ford Car Division by the year 1960. He was knowledgeable about market trends and in the early 1960s he discovered his “market niche”. He came up with an idea to produce a car for the generation of postwar baby boomers which, at the very reasonable price of about 2,000 dollars, would enable them to experience the feeling of freedom they were looking for. The engineers had to accomplish a miracle. Till then no comparable cars had been sold at less than 3,000 dollars, so the task seemed unrealistic. Finally, however, they made a brilliant decision to use the platform of an average, already produced car– the Ford Falcon. This way they significantly reduced both the costs and the time needed for the development. They just added “the free appearance and spirit” which the Falcon lacked. As a result the base model could finally cost the unexpected 2,368 dollars – the price at which the Mustang was even more profitable than the Falcon which it had originated from. The answer: So what is the most important pricing question? The most important pricing question is, therefore, “FOR WHOM?” Unless we have an answer on who our primary customers will be and what they can and want to afford financially, there is no point in designing any detail of the product or even in planning its production or arranging the distribution channel. In simple terms, the product is still not completely designed without setting the limits of its target price. Because only a product which, while respecting customer´s preferences and financial capability, still promises satisfactory profit margin will maintain its commercial and financial success for the long term. Even if it is not be the best in terms of ´quality´.